Poker & Casino Home » Casino Articles » Who’s good on youtube for online poker and casino? Here are a number of great streamers and youtubers that have caught my attention lately. First up on my list is Tonkaaap AKA team neverlucky. He has a great entertaining personality and plays high stakes poker. He streams live on twitch (with a 3 minute delay) and also uploads the best of his streams for some very entertaining youtube videos (if you like poker) visit his site at https://teamneverlucky.com/ where there is a link to his streams on twitch and a merchandise store. He’s gained 37k subscribers to date and seems likely to hit higher numbers in the near future. Some very big wins can be found here among a load of fails, including one in there somewhere where he wins approx $115,000 for 2nd place. Not too shabby. You can see him regularly playing tournaments with over $1k buy in, typically burning through 2-5k per session in buy ins. Tonka is sponsored by 888 and as such often plays there but also many other sites too. The sites that Teamneverlucky use to stream are 888, Pokerstars and Partypoker. I just checked his channel and he is currently “hosting” Kevin Martin. This is something that streamers do to help each other out whereby if they finish the stream or go offline, they will broadcast their friends or colleagues channels to help each other out in gaining new fans. He has currently only 3.5k subs having started his stream 9 months ago but I see him doing a lot better so long as he can manage his bankroll. Watching people play slots is not always entertaining when they are losing, many of the videos you find on his channel are cut so you are brought back on the action when it’s happening. This win shown below (at around 11:30) is epic and his reaction is worth watching too, at 12:00 you see the moment where he realises just how big this win is going to get and he stops getting exited and leans back and goes a bit pale. A great moment that will make you very jealous and perhaps inspire you to play some slots. He runs giveaways on his channel if you sign up to a site through his links. On his most recent video I watched him burn through 1k after having a few drinks which was a little unpleasant to watch but you can’t win em all. Following his epic win on Wild West it’s hard to feel too bad for him. Some sites Jimbo uses: Cashmio, Thrills, Casilando, Caribic.. Casumo & Viks. Another popular poker streamer is Canadian Kevin Martin. Often playing on Pokerstars he publishes a lot of high stakes games with a lot of enthusiasm a lot of love for the game which translates through to his videos. This is an onine community of slots and gambing streamers. On their youtube channel they publish videos of different people winning and their reactions. Just win reactions over and over which is generally more entertaining than watching the highs and lows. Worth checking out. This is a great slots channel that shows a gang of Swedish guys (that talk in English) all shouting and screaming at big wins rather than just a single broadcaster. It has great energy and some really great wins. Sit back and relax with a few jars, (literally as he drinks from a jam jar) and watch live attempts at slots with a little roulette thrown in. This channel started out about a year ago with a few low stake poker videos and slowly but surely the stakes have been rising through the slots. I’m watching him live right now where he’s started out with £3,000. He played it all down to £750 and then took it to roulette and now back into the slots with 3.5k. Pretty impressive turn of events. No fuss, little drama, all in a days work – just chilled out slots and roulette with a few beers. His schedule is Sunday, Monday and Wed from around 9pm. https://www.twitch.tv/rocknrollaaaaaa Some sites he uses are cashmio, thrills, guts, casumo and 21casino. Grapes channel is growing slowly and he is moving towards higher stakes. He plays mainly slots and roulette and he does giveaways on his channel. He seems to win fairly steadily without too many epic wins showing on his channel. A good Aussie down to earth streamer. Here’s a good demo of the king kong bonus climbing up to the top ladder. One of the sites he uses is joreels. 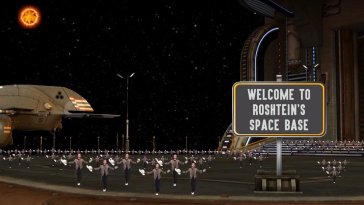 Having been a subscriber for some time to Roshtein I have to say that he is perhaps my favorite streamer, he does a lot of funny stuff with his green screen and has been on a roll with some great cashouts. His latest one he did a “bonus hunt” and got up from a couple of k to about 35k, cashing out about 30k and then I think losing perhaps 10k, I can’t be sure about the numbers exactly but still seemingly making a cool 20k which no doubt is going to keep him on book of ra for some time to come. There were some cracking funny moments in there when he hit the jackpot games. Check him out. NIckslots is slots player, a twitch streamer and youtuber with a dedicated live schedule of Monday-Friday 12pm-4pm GMT. https://www.twitch.tv/nickslots He has loads of content on his youtube channel too. He’s entertaining to watch and runs giveaways. I watched his latest youtube vid last night and was very entertaining to see him strike some good wins. Sites he often uses are rizk and casumo. David is another of my recommended players from the Casinogrounds crew. He is a Dutch player, nice and laid back persona with a majestic ginger beard. He can often be found streaming slots on both Twitch and Youtube. I’m watching him today in a good mood having just returned from a shopping trip in Amsterdam where he reportedly kitted out his wardrobe following some good wins lately. He is often playing at Superlenny.and Tradacasino. He is a great Slots player, sometimes he is talking in Finnish but primarily he speaks English. It’s fair to say Jarttu is “a bit of a nutter” as we say here in the UK. He is very entertaining to watch and plays very high stakes, often max stakes like 30-40 a spin – even 100 per spin at peak times. You will often find him streaming on twitch – pretty funny that whenever someone follows him it says “(yourname) is my pig now”. He does giveaways on his channels too. He has had some of the biggest slot machine wins of the entire community having over the last few months hit 45k twice on book of maya/ra and 18k from a random wild desire feature. He has not had it easy and had been 10s of thousands down before striking these jackpots. It seems since winning almost 45k yesterday (21/10/2017) he is back in force and you can catch him live playing high stakes slots practically daily. He does the classic bad pronunciation of “Hello Youtube eh” where they over accentuate the e. This is both annoying and becoming more funny as a more commonly used catchphrase when European slots players hit a big win. They know that it will be featured on the big wins videos published by other youtubers so they shout “Hello Youtube!”. Great bonus available at OVO Casino. Withdrawal not affected by bonus until you have played through all of your stake. Offer not open to UK, USA or Australia. For UK and Europe my favorite sites are Casumo, Thrills, Tradacasino (see no deposit Starburst freespins offer!) and Cashmio, all great reputable modern sites for playing online slots. If you have a suggestion that should be added to the list or perhaps you think your channel should be on here, please send it in on the contact form.